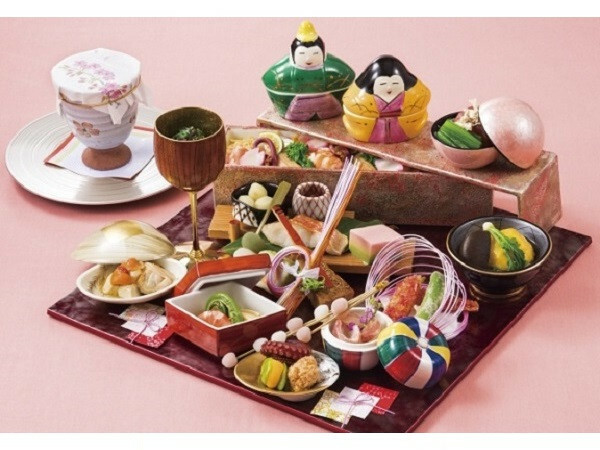 During the period from February 1 to March 3, A Japanese restaurant "Shunsai” and a restaurant A "Bientot" on the 25th of Shibuya Excel Hotel Tokyu will offer special lunch meals for Hina doll festival. The seasonal special meals are sure to satisfy ladies with gorgeous and colorful items in addition to Japanese cuisine and French techniques. Japanese cuisine restaurant "Shunsai" will offer a special lunch box “Hina festival lunch box set” 3800 yen (tax and surcharge included) which has various dishes make you feel spring served on the cute bowls and arranged on the rhomboid plate. It is absolutely gorgeous look with the fresh fishes and wild plants sushi, and other dishes with Hina Festival decorations. The restaurant "A Bientot" will offer "Hinamatsuchi lunch" 3,800 yen (tax and surcharge included) for 30 women a day. 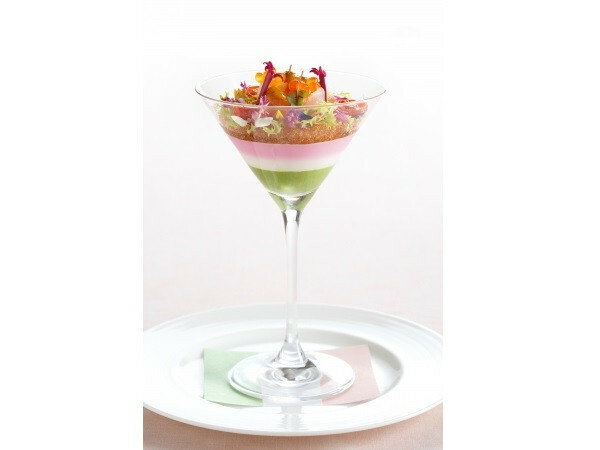 The course meal has a pink, white and green vegetable mousse as an appetizer, a soup with clams’ broth, Homarus lobster and beef fillet as mains. One of features about this set is the popular salad bar coming with. Those set dishes are available at lunch time between 11:30 am to 3 pm (L.O. 2 pm). Private rooms are available for family and ladies group meetings. Lunch to enjoy in an open space seems to be able to forget the hustle and bustle of the day. Dinosaurs appear in Shibuya! Experience-based entertainment "DINO SAFARI"
Popular Capsule Toy Offers New Species! "Dangomushi 03" Appears! Let's Taste the Tropical Cocktail using Fruits Made in Miyakojima with Superb View!